Are we about to witness International Monetary Fund give the green light for the Chinese Yuan to be included in the SDR (Special Drawing Rights) basket of currencies? Can we expect anything from the 10 year anniversary of China’s revaluation? 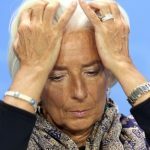 A recently published document mentions the French IMF Managing Director Christine Lagarde has stated that it’s not a question of if (the Yuan is included in the SDR), but when. Now, going forward, eventually China will have a currency that is traded alongside the Yen, Pound, Euro, and U.S. Dollar, when that happens, another revaluation will occur, most likely, increasing the value of China’s currency. The video starts off with discussing the terms used to describe China’s currency. It’s known as the Yuan, the RMB or the Renminbi. 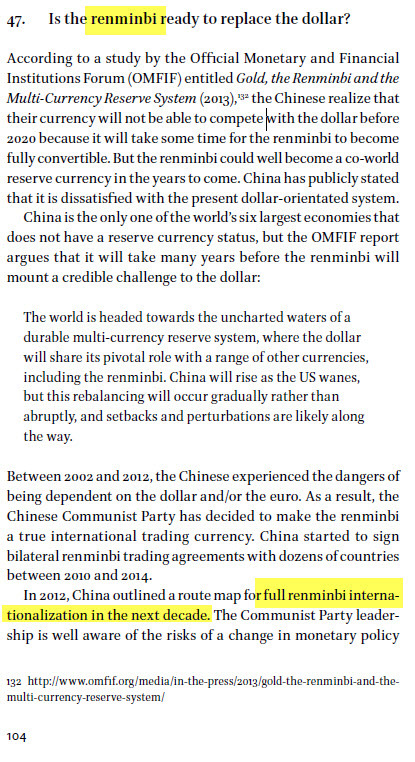 Now, Chrsitine Lagarde’s latest comment made March 20 of 2015 was that it was not a question of if but when China’s currency would be included in the basket of SDR currencies. This statement was made on CNBC. The press releases I have included are from the Standard Chartered Bank Hong Kong – Internationalization of the Chinese Currency Status as of February 2015. I discuss what happened in July 2005 and what could happen again in 2015 regarding China’s currency. 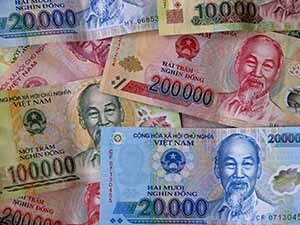 Expect a 70 to 85 percent majority vote before you hear about the Yuan included in the SDR basket of currencies. As of right now, China considers that their polity of Yuan Internationalization is working perfectly. They are seeing over 10% economic improvement. They are expanding into overseas markets. 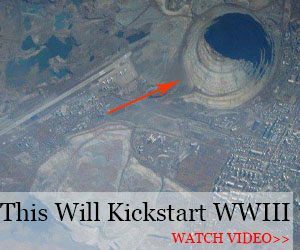 If interested in finding out what is happening, I strongly urge the reader to visit the site and read the available press releases and documents. 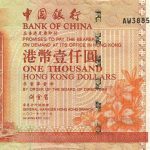 The Bank of China prints the Hong Kong dollars, don’t forget this. They make the banknotes that are used throughout Hong Kong, and let me just say this, some are just amazing to see in person. So what is the Endgame? At 4:50 into the video, I show how the government issued document states that the endgame is clearly to have full convertibility of the yuan. This means that China wants to have a currency with the power that the U.S. Dollar currently has. I’m still waiting for HSBC to make a statement regarding the internationalization of the Yuan, when I have this I will post a new video. At 6:30 on the video I posted you will see the original February 2015 Chinese Video discussing making the Yuan an international currency. They also state that this goal is rapidly progressing towards completion. The document from April 2014. Also, watch Christine Lagarde mentioning the reset back in 2014. 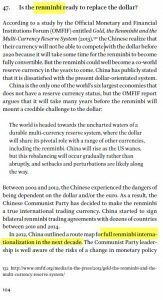 Her March 20, 2015 statement about not a question of if but when China’s currency is included in the basket of SDR currencies. 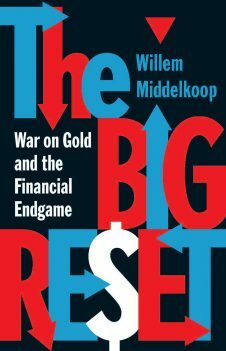 What happened in July 2005 with China’s Currency? What could happen in November of 2015?